Wheat streak mosaic virus (WSMV) is a seed and mite-borne virus that infects wheat causing severe leaf symptoms and reduced yields. Wheat is its most important host although the virus also infects barley, oats, rye and a range of grass weeds. The symptoms and damage are more severe in wheat than other hosts. In most hosts, infection is symptomless. 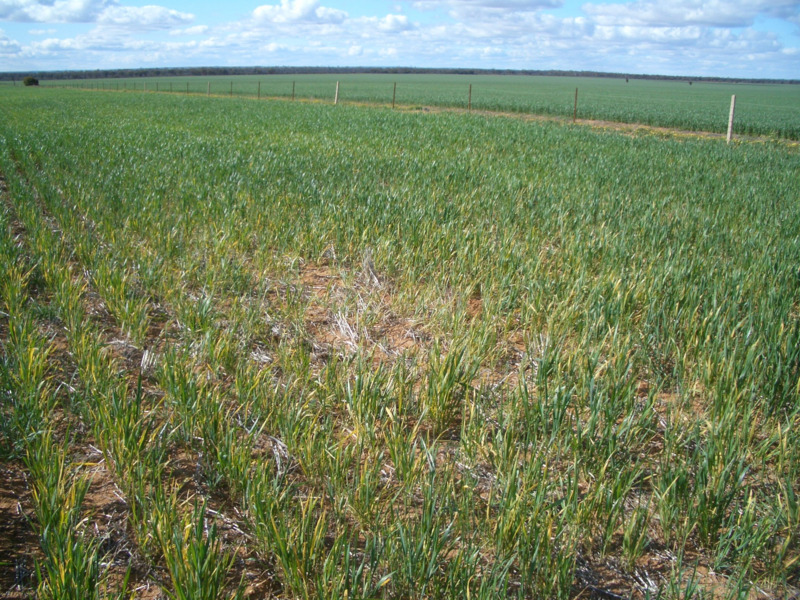 WSMV can cause crop failure when widespread infection occurs in seedling wheat, for example, when a heavily WSMV-infected green bridge is not controlled before sowing an early crop, when warm temperatures favour mites. Wheat streak mosaic virus (WSMV) has been detected in wheat crops in New South Wales, Queensland, South Australia, Tasmania, Victoria and Western Australia. In WA, it was first detected in 2006 and has been found to be widespread in wheat crops across the wheatbelt from Geraldton to Esperance. Often infection levels in crops are less than 1% and do not cause detectable yield losses, however favourable conditions, localised infection can reach up to 80%. 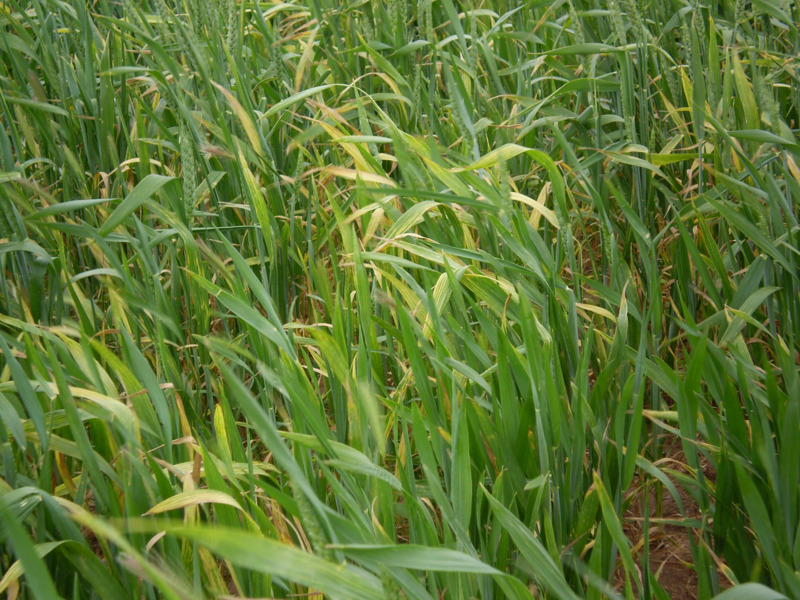 The symptoms of WSMV in wheat appear as pale green streaking on leaves (Figure 1), yellowing of the older leaves (especially towards their tips) (Figure 2) and stunted, tufted plant growth (Figure 3). Affected plants become stunted relative to healthy plants when they are infected at an early growth stage (pre-tillering) but this stunting symptom is much less obvious with later infection. Heads on early infected, stunted plants are either sterile and contain no seed, or contain small shrivelled grain. Except for volunteer oats, no symptoms have been seen in Western Australia on WSMV-infected alternative hosts (grasses and other cereals).